Available in Capacities 1/2 through 35 metric tons. 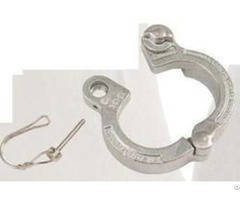 Crosby 213 Round Pin Carbon Anchor Shackles are Forged Quenched and Tempered, with alloy pins. Working Load Limit permanently shown on every shackle. 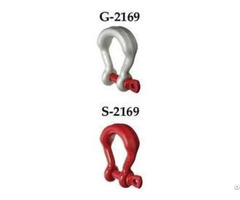 Crosby 213 Round Pin Carbon Anchor Shackles of 25t and larger are RFID EQUIPPED. 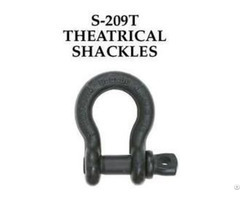 Shackles can be furnished proof tested with certificates to designated standards, such as ABS, DNV, Lloyds, or other certification. Charges for proof testing and certification available when requested at the time of order. 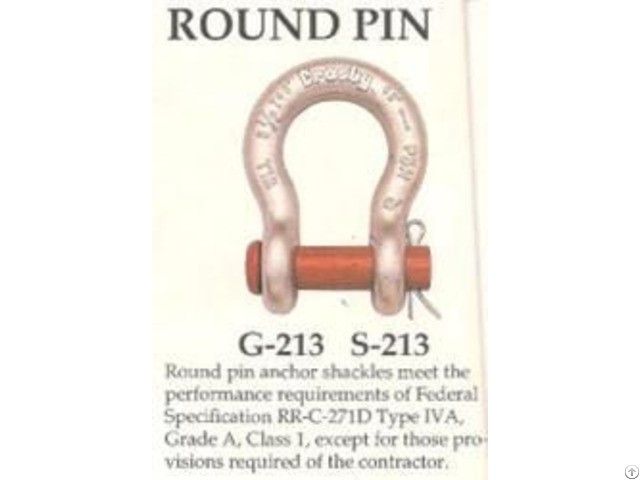 Crosby 213 Round Pin Carbon Anchor Shackles are Quenched and Tempered and can meet DNV impact requirements of 42 joules (31 ft-lbs) at -20 degree C (-4 degree F).